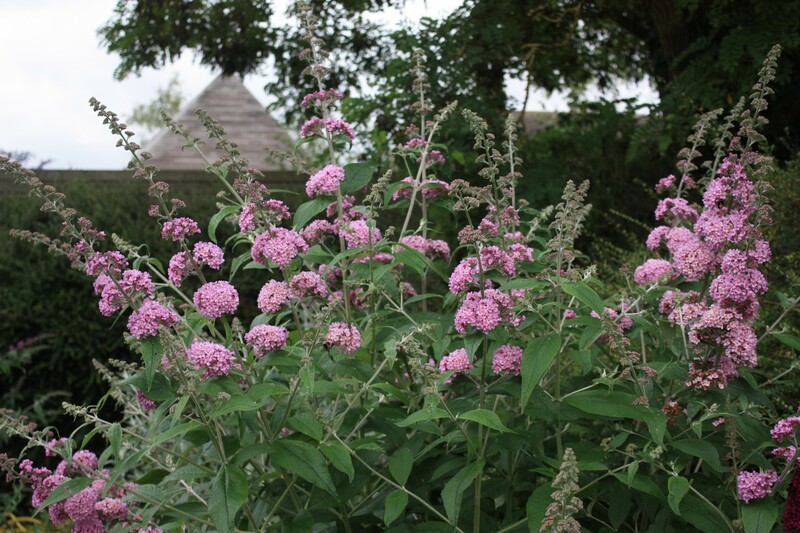 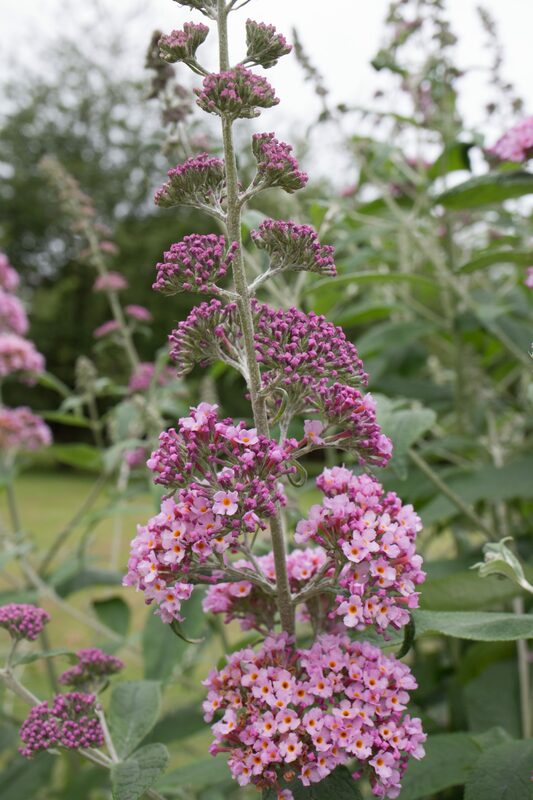 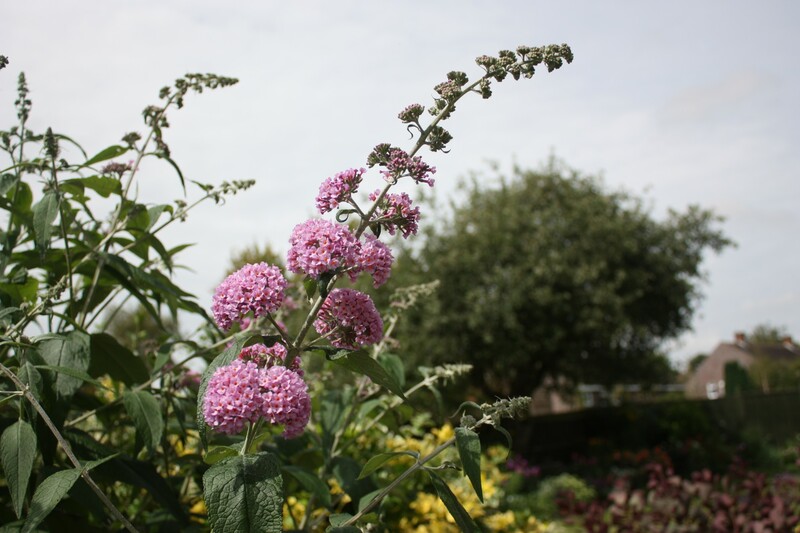 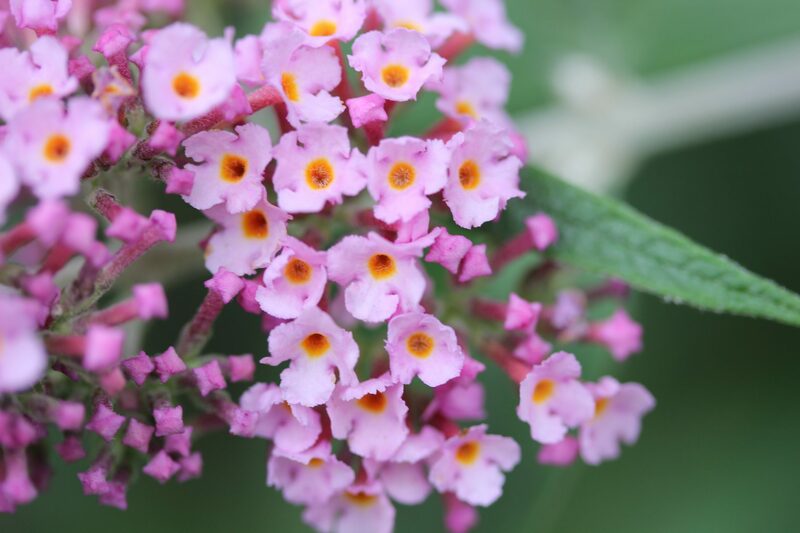 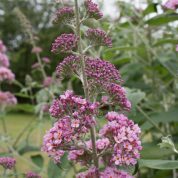 Buddleja x weyeriana ‘Pink Pagoda’ is drought tolerant but if you water when it is very dry it will look like the photos below. 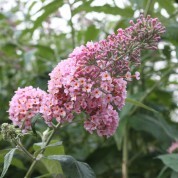 This is a rabbit and deer resistant plant, a darling of a Butterfly Bush. 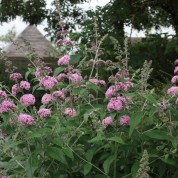 Attracts bees and butterflies, and hummingbirds in the USA, due to its fragrance. 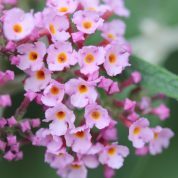 A hybrid between B. x weyeriana ‘Sungold’ and B ‘Pink Delight’ made in 1994, the plant was trialled by Blooms of Bressingham for 10 years. 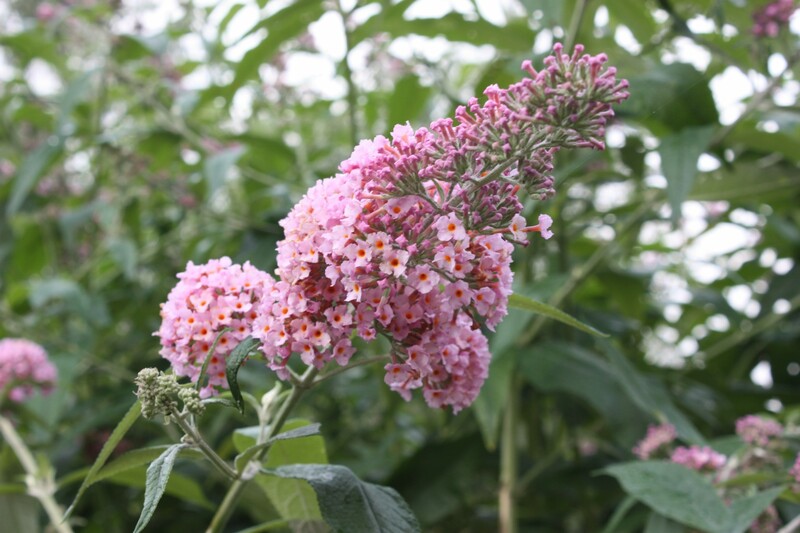 Now available in the US Canada and Japan as B.’Inspired Pink’ and as B. 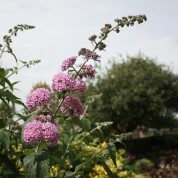 ‘PInk Pagoda in UK and Europe having been named by plantsman Roy Lancaster in 2009.